This is the general topic of reflection and discussion on a retreat facilitated by the Office of Campus Ministries for our athletic teams. In fact, the women’s lacrosse and softball teams have been asking themselves this question every January for the past six years. 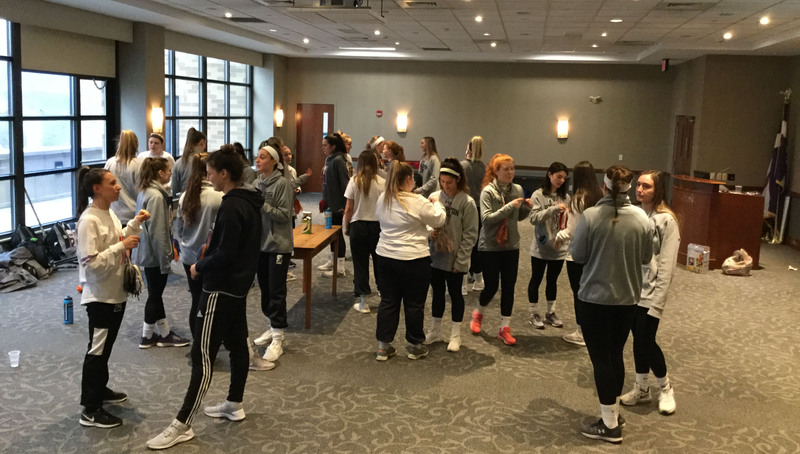 As a kick-off to their season, Campus Ministries leads these two teams in a half day of team building and faith building (two things that are not mutually exclusive.) As the athletes begin their preparation for the season, they come to realize that not all preparation happens on the field. “The team loved the retreat! It gave us the opportunity to reflect both individually and as a team on different topics pertaining to athletics, life, and faith. 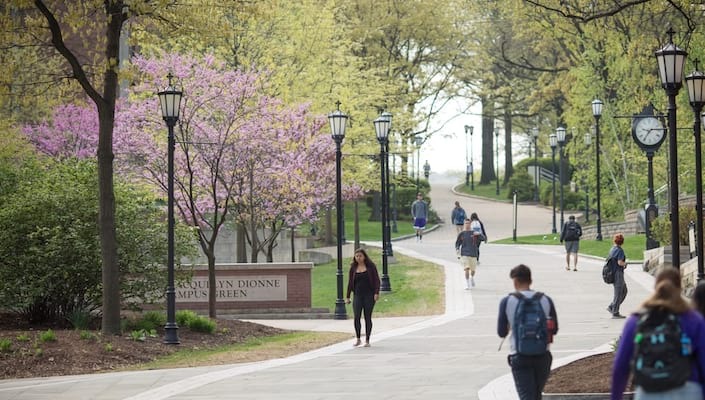 It was a positive experience that enabled us to bond and to mentally & spiritually prepare for the season ahead,” said Cait Kollar ’19, a neuroscience major on the Women’s Lacrosse Team. This year, the Track & Field team had their inaugural retreat with plans to continue the tradition in years to come. 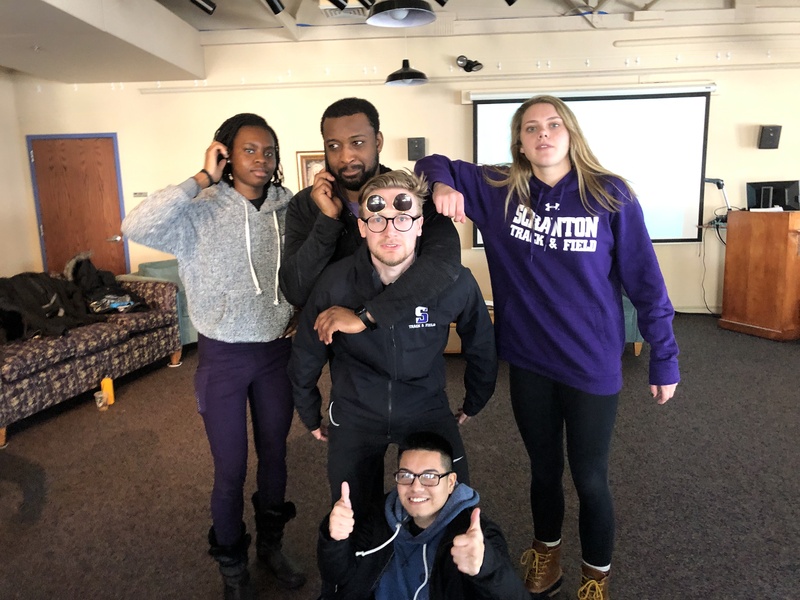 They used a “peer leadership” model for their experience where, under the direction and guidance of Campus Ministries, a team of former Scranton athletes (now graduate students) led the half day with activities, witness talks, small group discussions, and prayer. What’s God got to do with it? Well, perhaps the prayer that ended this year’s retreats can shed some light: Creator God, You formed us as one team, each with gifts & talents, each with struggles and challenges. Each of us can contribute. Each of us can hinder. May we always recognize that no matter how we perform as members of Your team or any team, we are always “very good” in your eyes, and thus should always live and play with confidence. May we be All-In, All-Day, Every-Day. Amen.